The undoubted current king of TT Superbike racing, John McGuinness, proved his amazing skills over the Mountain course during the Superstock race at the 2012 Isle of Man TT, taking an unexpected first win in the class. In this stunning photo, McGuinness is seen climbing the Mountain on his Padgetts Honda Superstock machine, with Ramsey and the north of the Isle of Man stretched outbehind him, as he races towards a staggering 19th TT win. 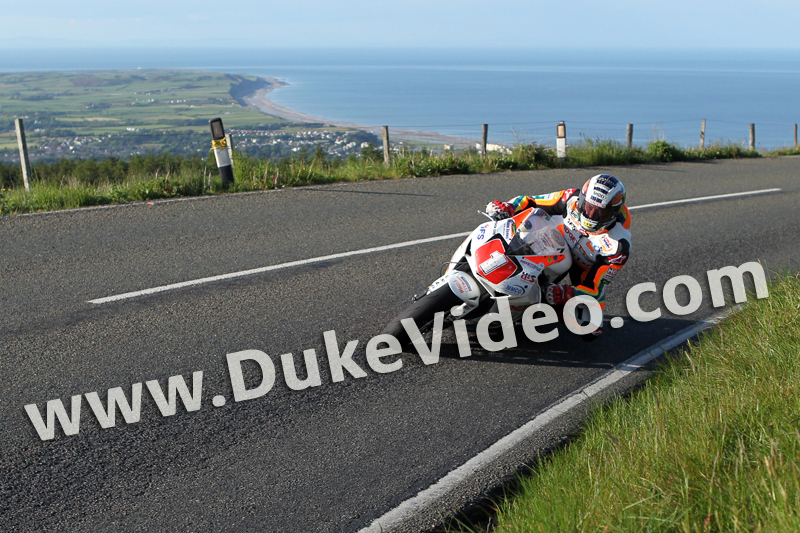 The image was captured by Manx photographer Dave Kneen.